This is an adventure which I posted about on Paper Tree a few years ago but I have updated it in more detail here. It was a fantastic travel experience and I highly recommend it. My children were 8 & 11 at the time and still vividly recount many things including the ‘market horror’! The memories will be with us forever….. 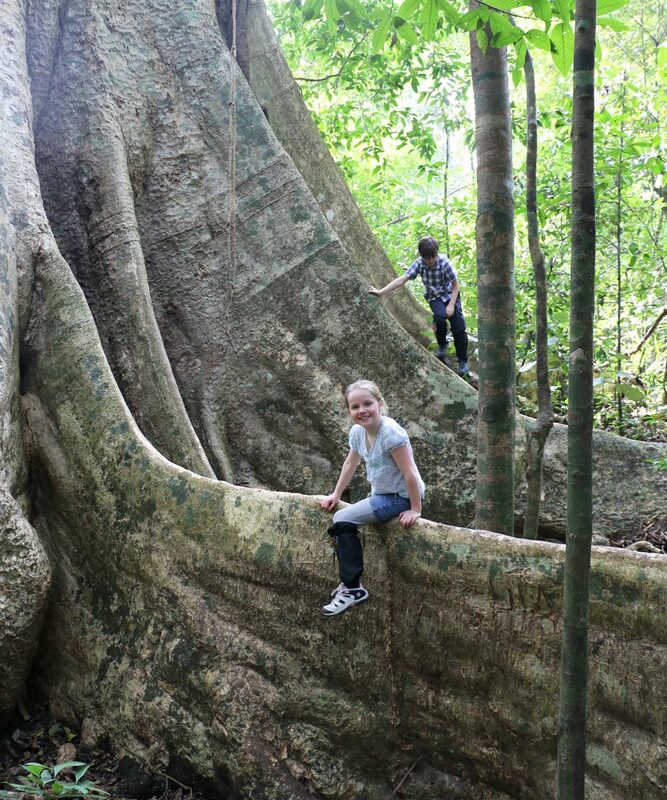 I love to travel but having young children meant it was not possible for many years. 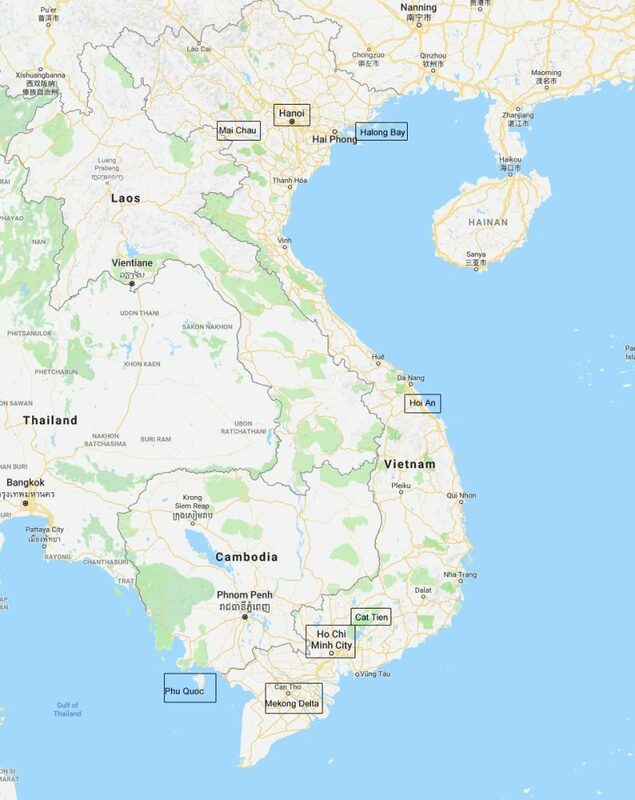 So last Christmas, with our children now old enough to appreciate and withstand long-haul travel, and with my parents who are seasoned travellers, we set off to Vietnam for a family adventure. To make the most of the experience and to justify the airfares we took the children out of school for an extended Christmas holiday and were away for almost 4 weeks. Vietnam is a stunning country stretching 1000 miles from north to south but very narrow with mountains to the west and coast to the east. It is a developing and rapidly changing nation with both poverty and growing wealth in evidence. We flew into the north to the capital Hanoi, a city rich in cultural heritage. 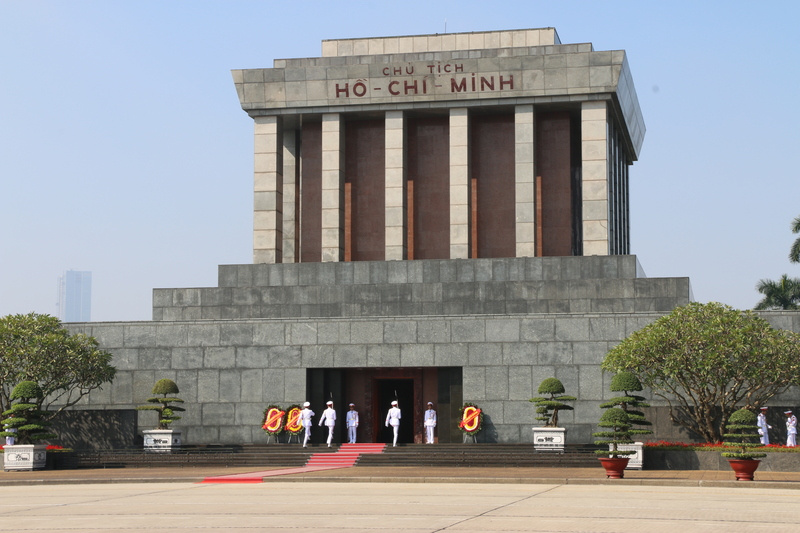 Despite the jetlag we started early the next day with a city tour and visited Vietnamese revolutionary leader Ho Chi Minh lying embalmed in his Mausoleum. He died in 1969 so this was quite a surreal start to our day. 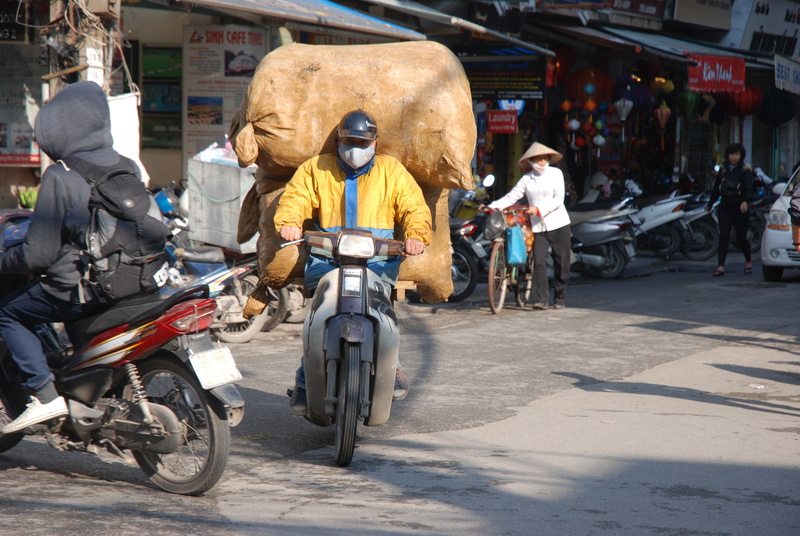 Despite being very interesting historically and culturally, Hanoi was a fairly crazy place in terms of traffic. With no traffic lights we had to negotiate the art of crossing roads whilst a stream of bikes swerved around us. 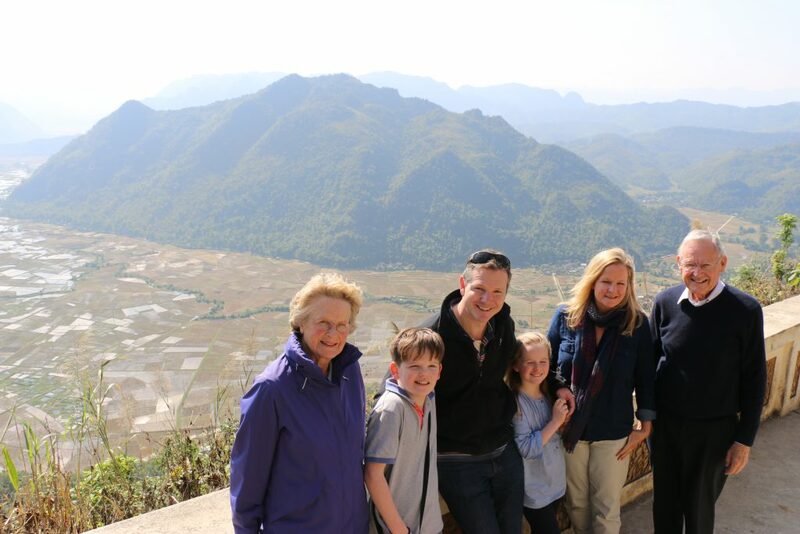 We left Hanoi for the peaceful and beautiful Mai Chau valley. 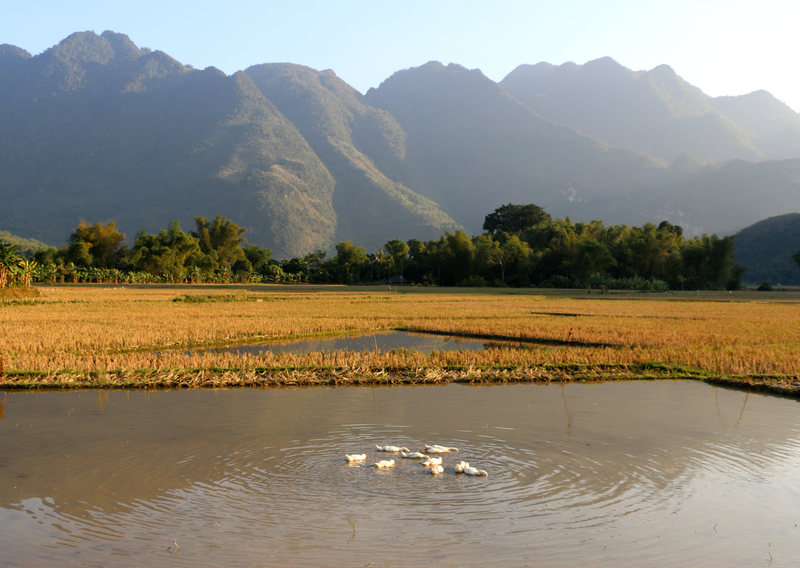 This is a very agricultural region with rice paddies and subsistence farming. 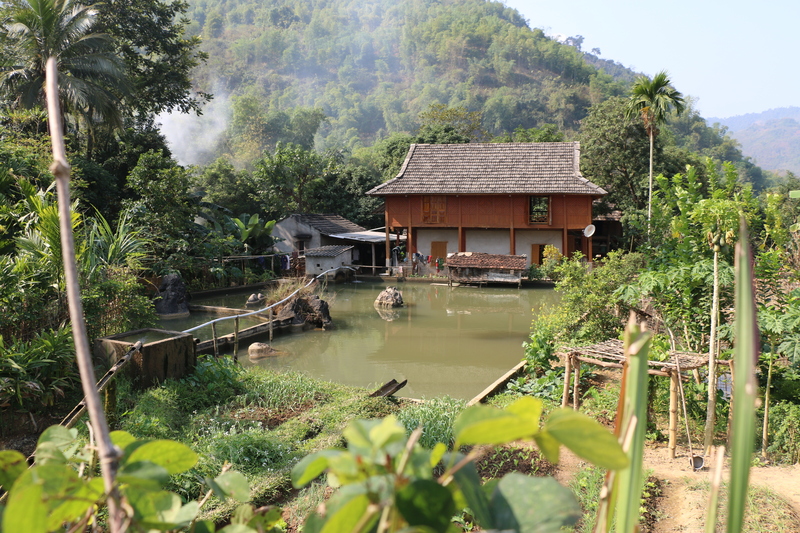 Although life is very basic the smallholdings were beautifully maintained with lush vegetation providing plentiful food. We chose to stay in a traditional homestay, a house on stilts make from wood and bamboo with the sounds of Cockrels waking us throughout the night. A visit to the local market revealed a very different culture to the children who were shocked to see roasted dog heads and bags of blood for sale. 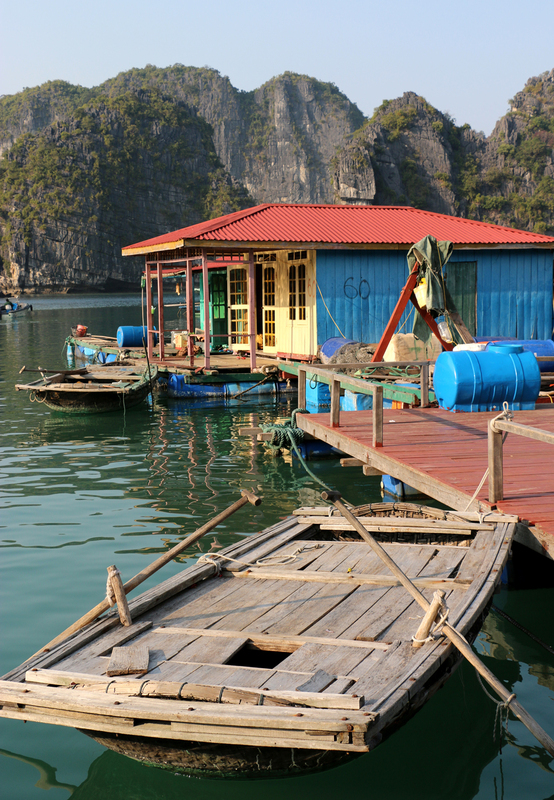 From here we headed to Halong Bay – perhaps the most famous of attractions in Vietnam. 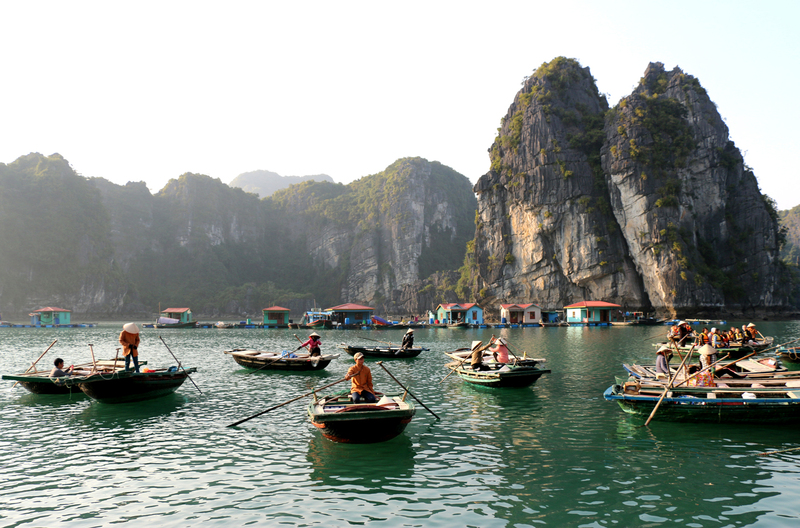 This is a UNESCO world heritage site (http://en.unesco.org) where over 1600 limestone mountains form a spectacular seascape. 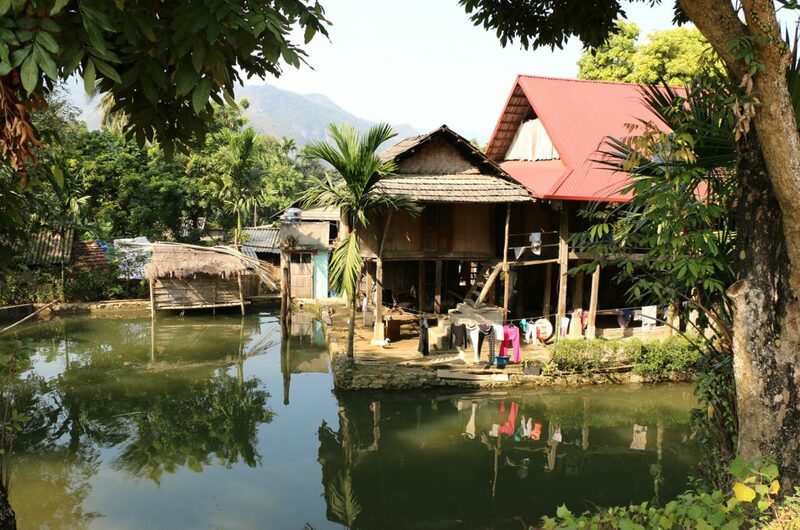 The area is also home to the Viet people who live on boats and floating houses and make a living from fishing, as well as more recently tourism. 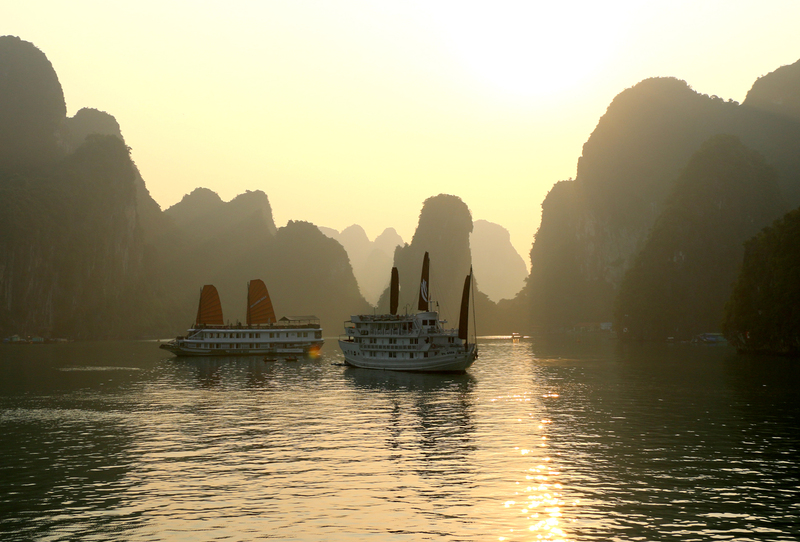 We sailed into the bay on a traditional junk boat and stayed overnight enjoying the stunning sunset and sunrise. 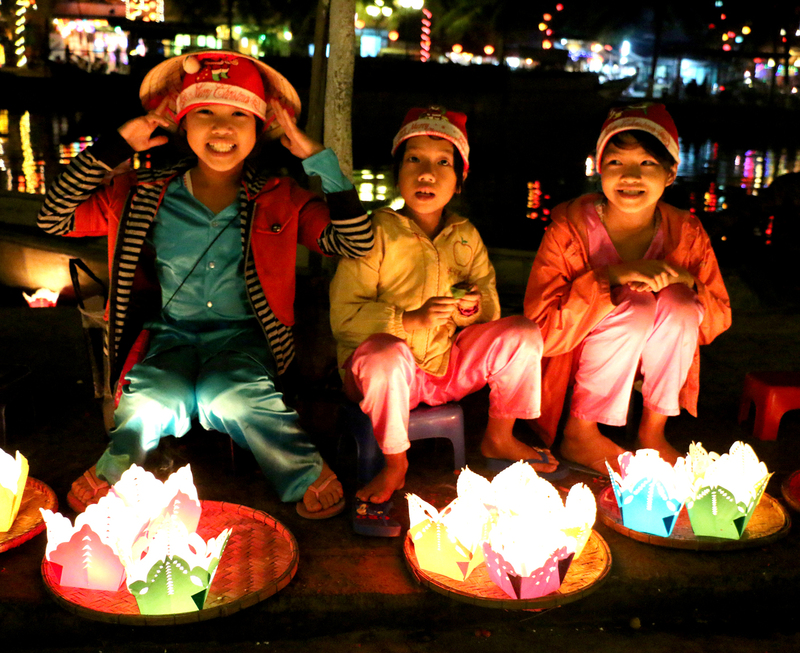 A couple of days before Christmas we took the overnight train from Hanoi 500 miles south to Danang then Hoi An. 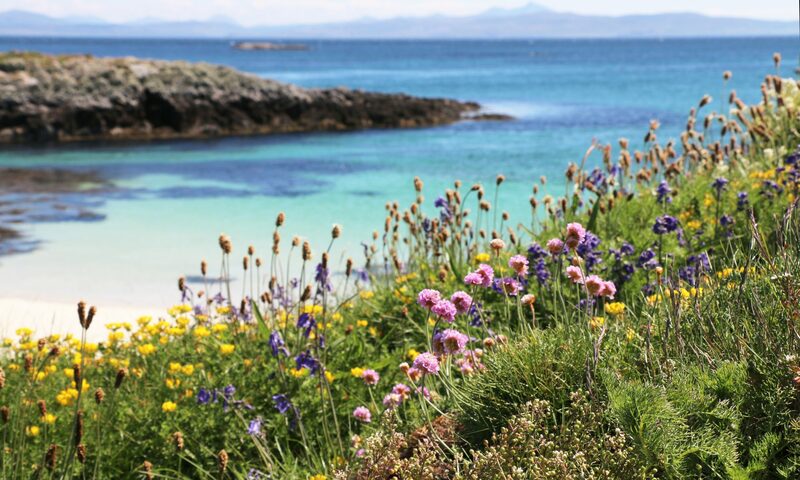 It was a long and not entirely restful journey but worth the morning views as the train snaked along the coast to our destination. Hoi An was such a contrast to the bustle of Hanoi and we enjoyed strolling the streets and eating delicious Vietnamese cuisine. 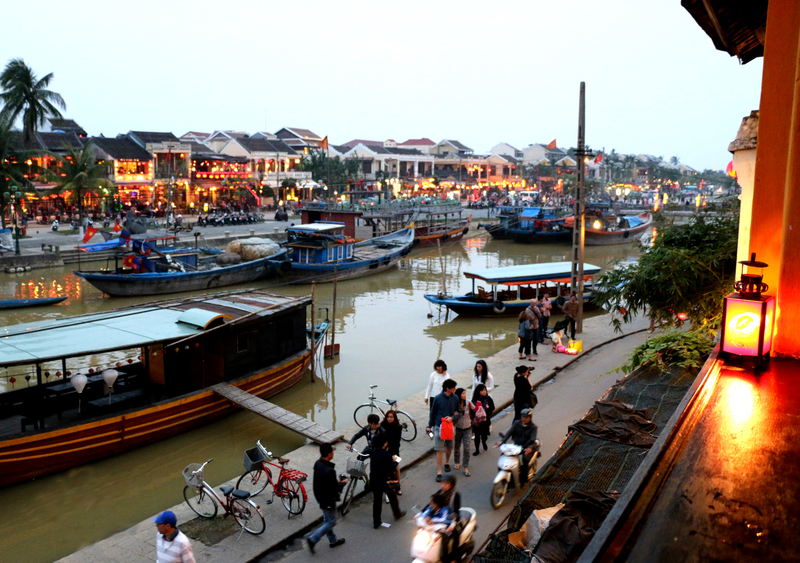 Hoi An is another UNESCO world heritage site due to its history as an important Asian trading port and its preserved buildings. It is particularly famous for the beautiful silk lanterns that light up the town in the evening. 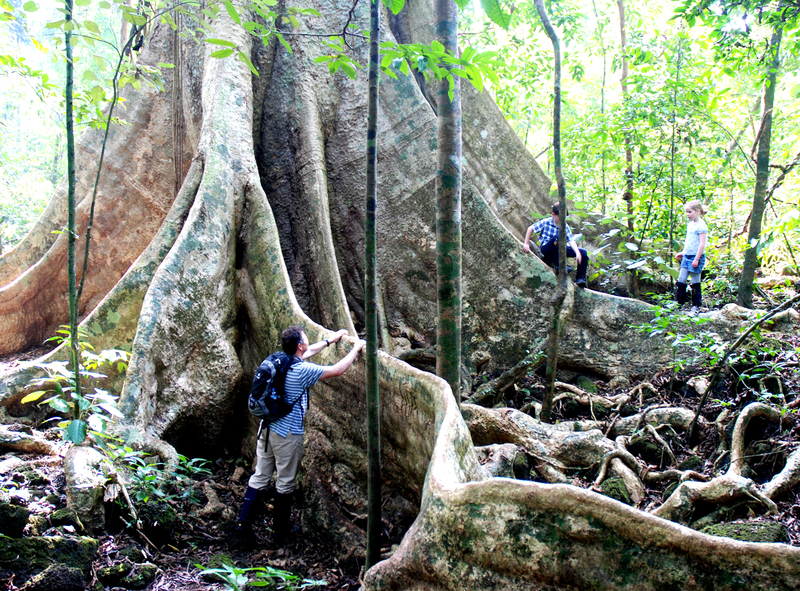 After a few days relaxing in Hoi An our next destination was Cat Tien National Park in the rainforest (http://namcattien.vn/) . 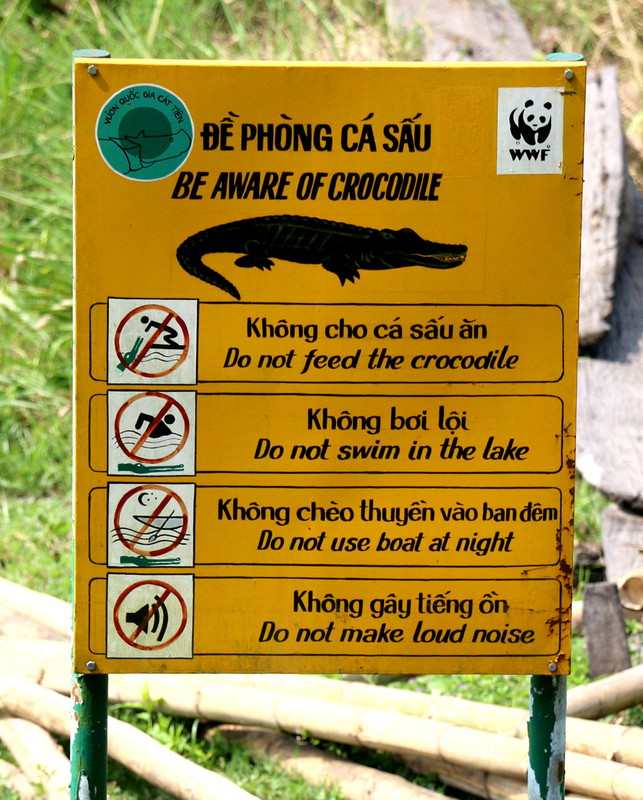 We flew to Saigon and spent 6 hours in a minibus struggling through traffic and along bumpy roads to reach the park followed by a boat journey over a river. 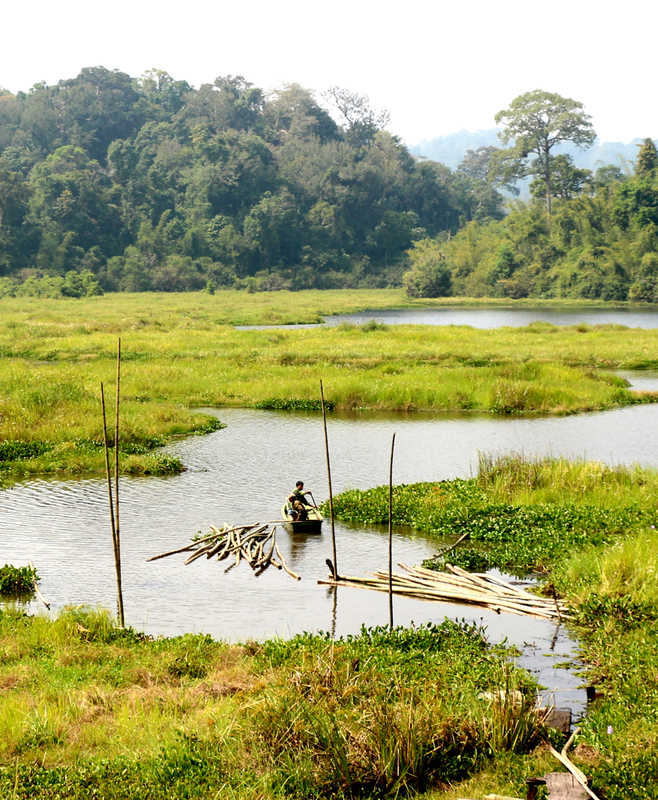 The park is classified as one of 6 biosphere areas in Vietnam and is being protected from poaching and deforestation. Sadly some of the rainforest was destroyed by Agent Orange in the Vietnam War and many of the valuable hardwood trees have been removed. The magnificent Tung tree (above) is one tree that has not disappeared as the wood is not valuable. The sounds, heat and spectacular jungle scenery were truly memorable as were the 2 huge spiders inhabiting our bathroom which my daughter nicknamed Sid & Bob. 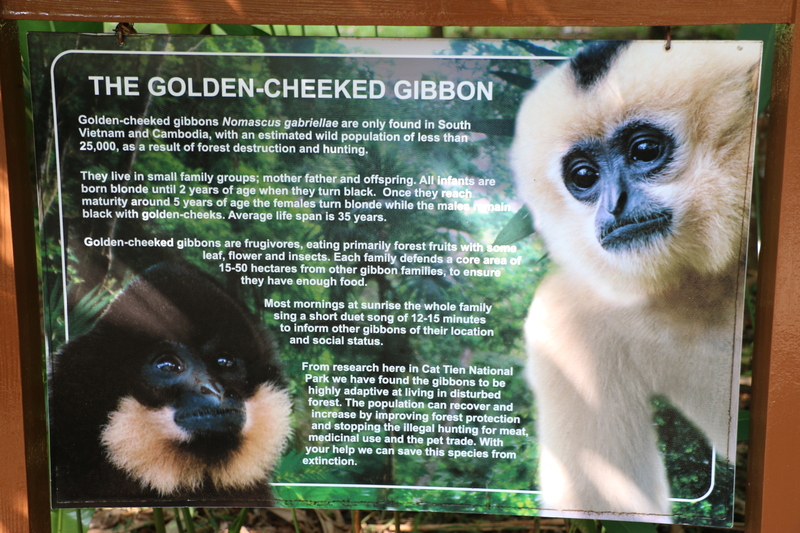 The park is also home to gibbons who make an incredible singing sound in the morning – a sound similar to the ‘clangers’ but more eerie and sci fi! We woke at 5am one morning to trek into the forest and wait for sunrise and the gibbons to start singing, it was worth it! Another day we trekked to a stunning pristine lake in the middle of the rainforest, it has recently been re-stocked with crocodile so our canoe trip was all the more exciting! 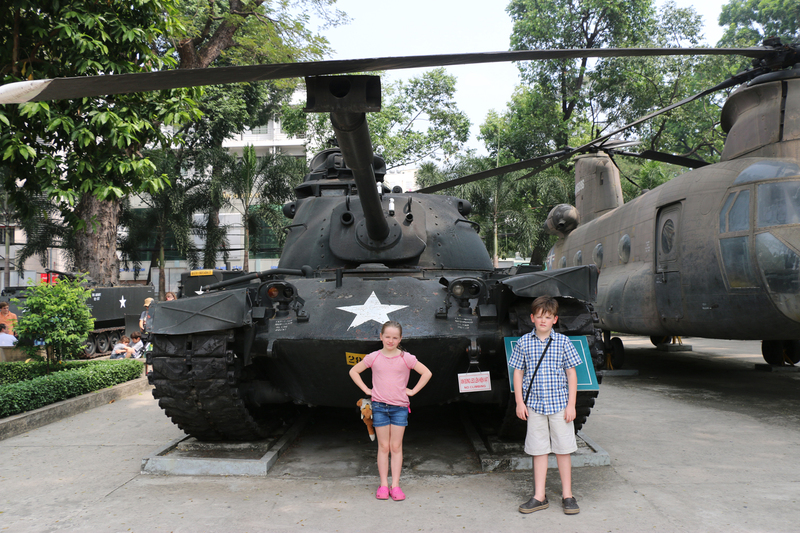 Back to Saigon (also known as Ho Chi Minh city) where we visited the war museum with many harrowing photos and stories from the Vietnam war. Saigon was the most modern and developed city we visited although the huge suburbs were still made up of very basic housing. 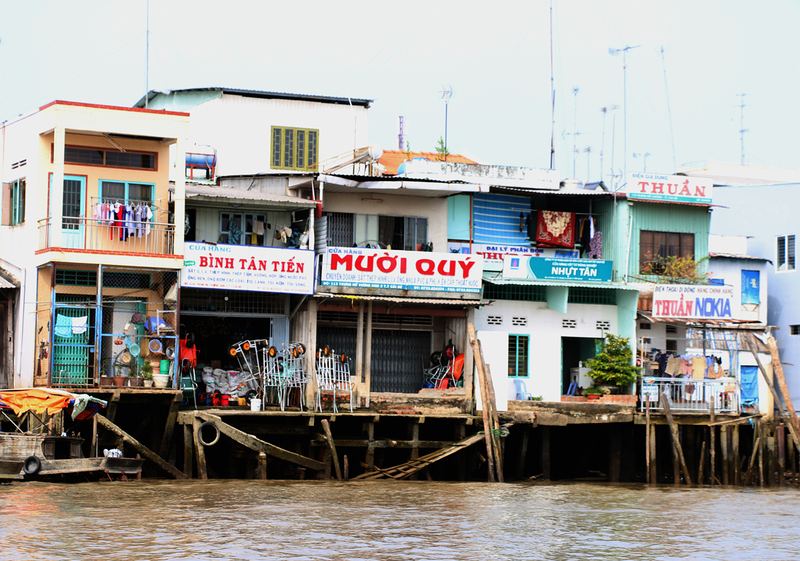 We continued south to the Mekong Delta and stayed on in island in the middle of the Mekong river. The Delta is full of huge, brown rivers and is a very fertile agricultural region. Every type of tropical fruit can be bought from the floating markets. 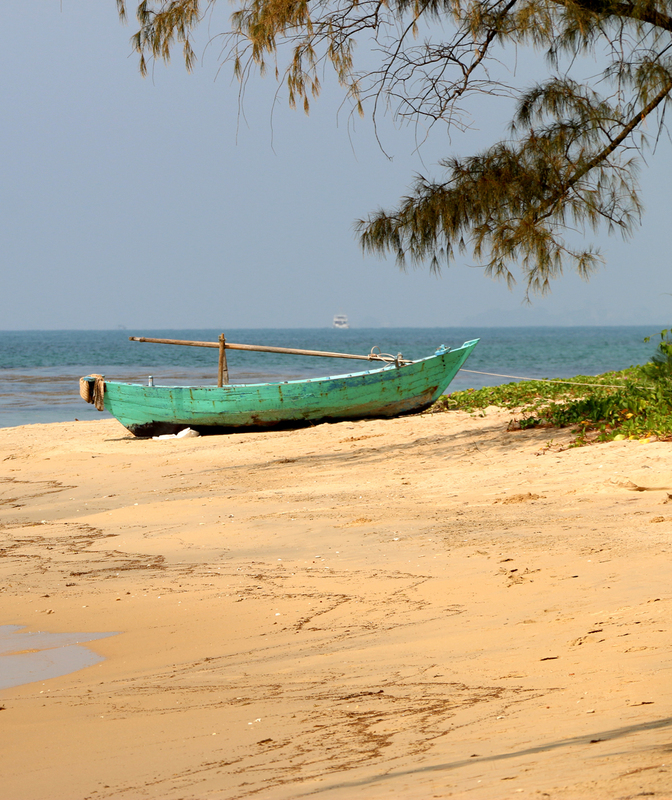 Our final destination was the island of Phu Quoc lying to the south of Cambodia. Having travelled over 1000 miles and staying only a couple of days in each destination we were ready for a rest. We stayed at the Mango Bay resort (http://mangobayphuquoc.com/), a beautiful and tranquil eco-resort. 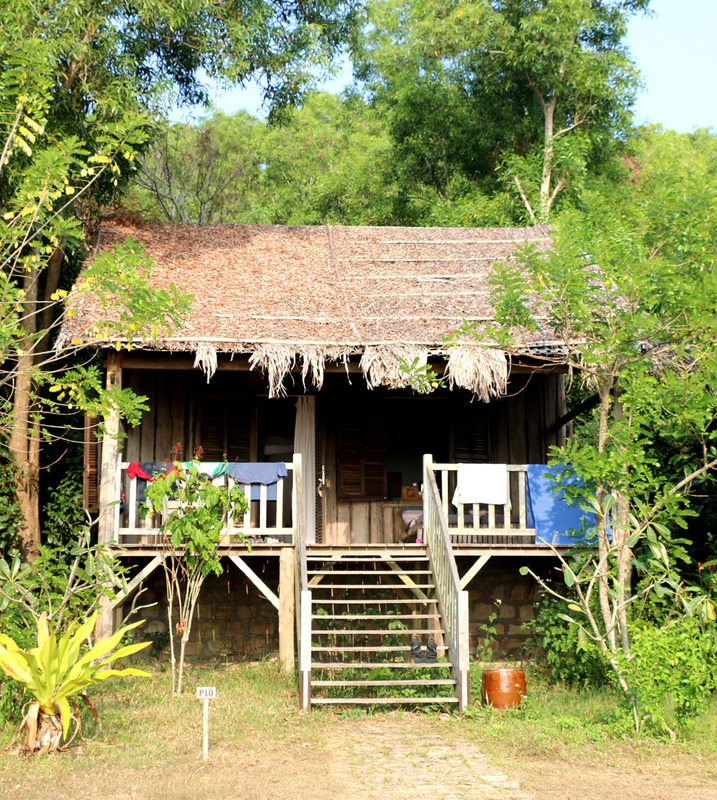 Our accommodation was a simple bungalow on stilts overlooking the sea with resident geckos and an outdoor bathroom where birds flew down to drink the shower water.